I realised I hadn't shared these two piece on her, which I completed late last year. Both of them were inspired by the lace curtains which hang in the windows of the houses in the Jordaan. I did a photographic series on this called Watchers, which you can view here. The ring I intend to cast, so it can be replicated easily. 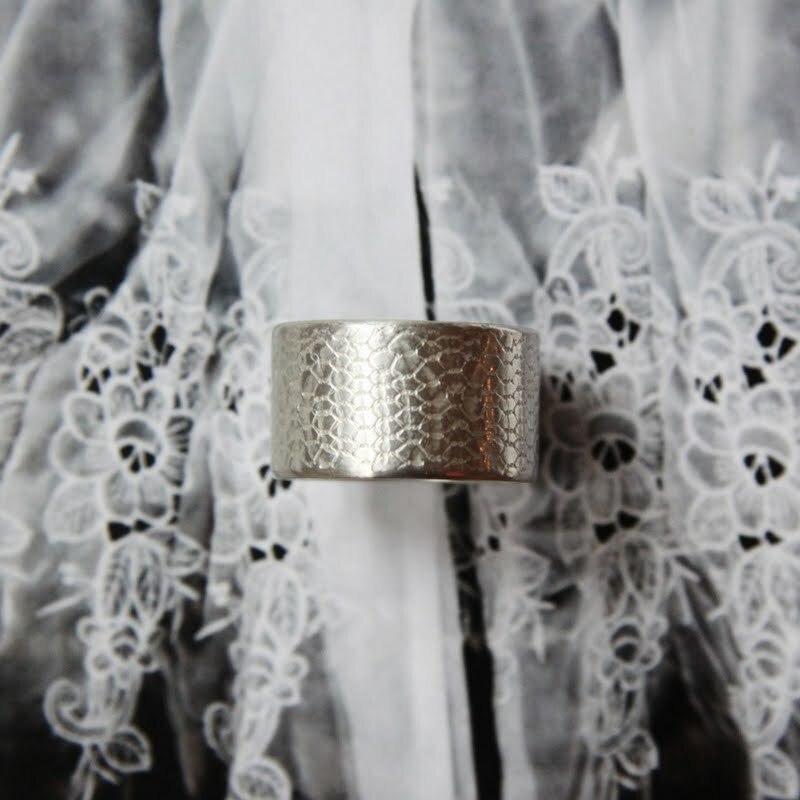 It's a really nice piece to wear- a nice heavy ring but the lace makes it quite feminine. 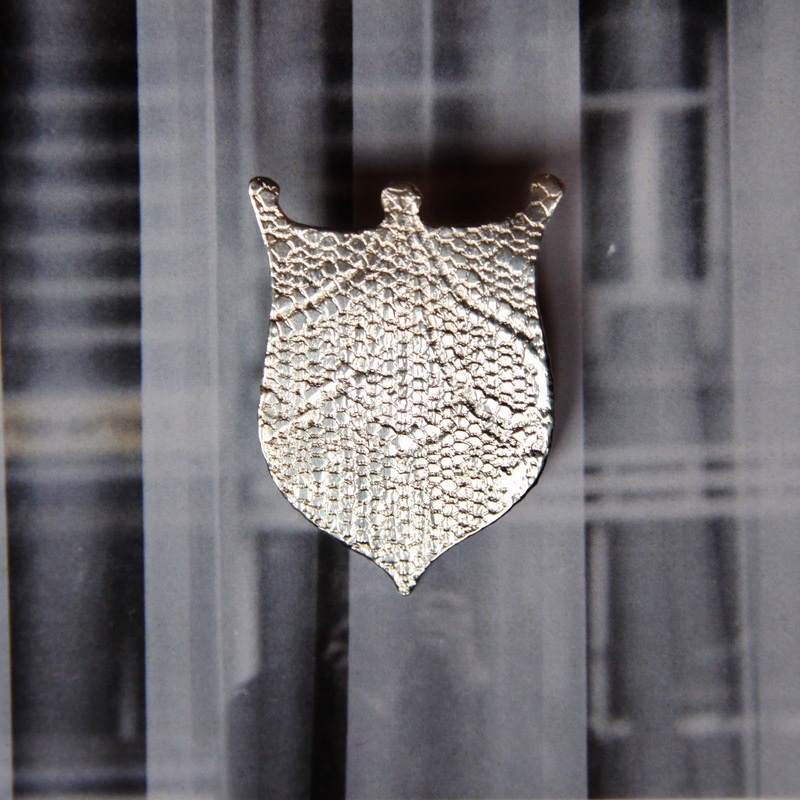 The brooch is a one-off piece, and I gave it to my mother for christmas. I think she secretly wanted the ring, but she liked this too.